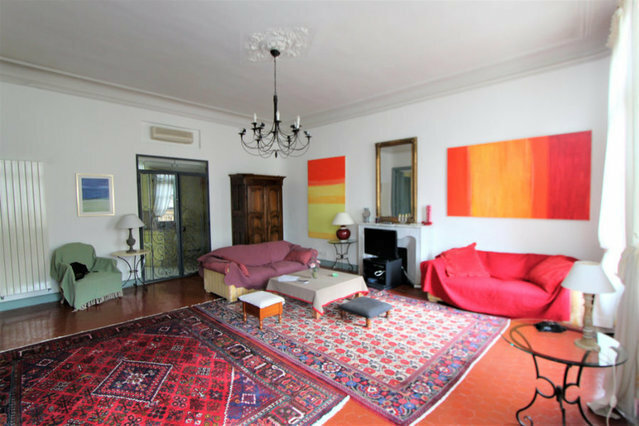 Located in one of the florets Aix of the early eighteenth century, superb apartment on the top floor of 159 m² living space (137 m² Loi Carrez). You will be immediately seduced by the animated facade of balconies and masks, by the Court of Honor and the majestic staircase. It consists of a large living room of 40 m² with fireplace, a dining room, a kitchen with glass roof and 2 spacious suites each with their bathroom. On the floor, two attic rooms of which one with room of water. Main exhibition south overlooking the most beautiful Place d'Aix. The outbuildings of about 30 m² overlooking the courtyard will serve you as a cellar, bicycle storage ... Outstanding benefits for this unique property in Aix! Price: 970 000 EUR HAI - Fees charged to the buyer: 4,86% TTC - Net selling price: 925,000 EUR - Dominique MILLANT - commercial agent - 06 13 04 02 20 dominique.millant@agenceaixenprovence.com - www.agenceaixenprovence.com dont 4.86 % honoraires TTC à la charge de l'acquéreur.